Hope you are all having a lovely summer and enjoying the sunshine when it decides to make an appearance, as I write this it is a glorious day outside. 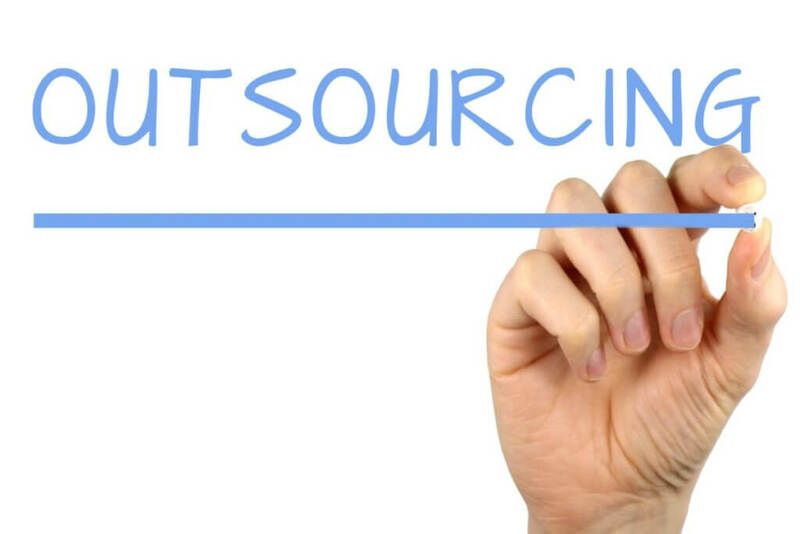 Our August blog is going to talk about outsourcing services to other companies or people, and discuss why you would want to outsource services and the benefits versus the potential negatives. Outsourcing is when you hire other companies by contract to complete work on your behalf. For example, when you hire your accountant to do your book keeping you are outsourcing their services to help you complete the work you need done. You can pretty much outsource any service you want or need. If you need a cleaner, you can outsource this job to an agency or if you want a marketing plan for your business you can outsource this to a marketing consultant. What you outsource depends on the needs of your business. Why would you outsource services for your business? The main reason to outsource services, in my opinion, is to get the expertise that you don’t have in-house. However, other reasons include lack of time or location reasons (perhaps the consultant has better local knowledge than you or your staff). Think about it from this point of view; if you are at home and you have a water leak. Do you try and fix it yourself? Or would you leave it to someone who knows what they are doing? Many people may be skilled enough to deal with this type of situation but would not deal with it on a daily basis, so may use a quick fix that wouldn’t last or that may damage other areas of the system. Putting trust in another person or company with regard to your own business is a scary thought. Losing a bit of control with regard to your business can be terrifying but usually happens if you want to grow your business, so maybe this is a good reason to release the reins a little and outsource services. Who to outsource to is usually the first question, the best why to know is through a recommendation or referral from a friend, business associate, client or family member. However, if no one knows the right person for the job, use Google or social media sites to research companies and read reviews. Reviews will allow you to read the feedback from their customers and make a decision whether to use that company or not. I know what I am good at and I know what I am not so good at. I’ve outsourced my website design and development, logo design, accounting services and legal services. Once I start to employ people I will not hesitate to outsource HR services. The expertise is out there waiting to help you grow your business.